Since no modern-day man will ever compete with the Bard’s wit and wisdom, Kate is destined for dissatisfaction in matters of the heart. Besides, any attempt she makes to step out of her comforting world of books usually ends in humiliating disaster. 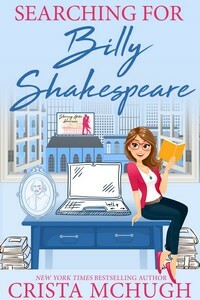 But when she agrees to help her new roommate’s brother prepare for an upcoming audition, she meets a man who makes her pulse race almost as fast as Shakespeare’s insults. ‘Tis said the course of true love never did run smooth, and Kate discovers that Gabe is not an aspiring classical actor–he’s one of Hollywood’s sexiest leading men. iBooks, Amazon, B&N, Kobo, and Google Play.